Based out of picturesque Mount Barker, the fifth – and penultimate round - of the 2018 CAMS Australian Rally Championship will include several firsts. The recently opened The Bend Motorsport Park, at Tailem Bend, will debut two new Super Special Stages on Friday night, in which two cars will be simultaneously on the course. The teams then head back to the Adelaide hills for a mix of new gravel stages, plus some roads that have not been used competitively for more than seven years. They include two runs through the ultra long-haul Monarto Mega stage, at 37.32 kilometres – a test of crew concentration as they come back-to-back at day’s end. While distances are shorter on Sunday, nine stages will challenge crew endurance. 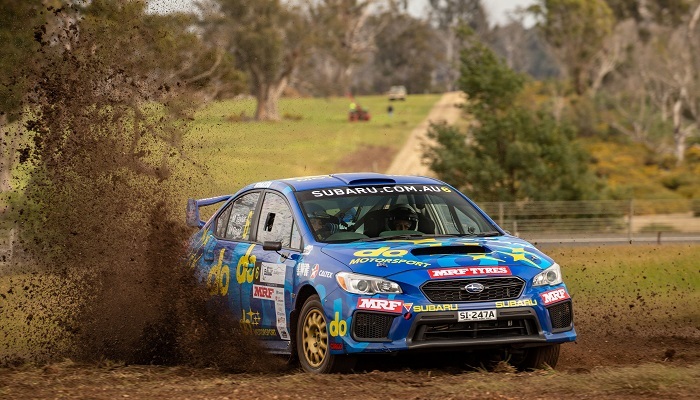 Currently fourth in the Championship in the Production Rally Car (PRC) class turbocharged All-Wheel Drive WRX STI, prepared by Les Walkden Rallying, Molly Taylor and co-driver Malcolm Read are keen to bounce back from their second-place in Tasmania. Molly Taylor said: “Obviously we had high hopes in Tasmania, with the entire team – and car – performing pretty much flawlessly. “We certainly experienced the entire range of emotions by the end of the rally, but the reality is we’re currently fourth in the championship and need to refocus our efforts on top three contention. Heat one of the BOTT Adelaide Hills Rally covers eight stages across 110.64 competitive kilometres. Sunday’s Heat two covers nine stages over 117.31 competitive kilometres. Action concludes with a podium ceremony at 5.30pm on Sunday afternoon at Mount Barker Showgrounds, also the location for the service park for the duration of the event. In between events, Molly has been participating in a Subaru roadshow launching new generation Forester to dealers and staff nationwide.